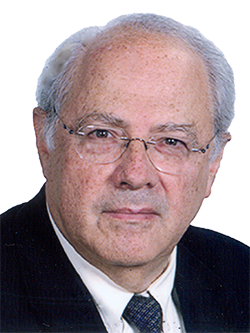 Dr. Norman Wolmark, MD, is Chairman of NSABP Foundation, a not-for-profit academic research organization with a nearly 60-year history of conducting ground-breaking research studies in breast and colorectal cancer. He is also Professor and Chairman of Human Oncology at Drexel University School of Medicine. Dr. Wolmark received his medical degree from McGill University of Montreal, and he completed his residency at the University of Pittsburgh. He served a fellowship in Surgical Oncology at Memorial Sloan Kettering Cancer Center, and he later became a cancer expert at the Surgery Branch of the National Cancer Institute. Dr. Wolmark belongs to numerous prestigious organizations including the American Society of Clinical Oncology, the American Association of Cancer Research, and the American Surgical Association. Over his near 45-year tenure as a cancer researcher, Dr. Wolmark is extensively published, with more than 400 scientific journal articles and book chapters in print. He is a widely sought-after speaker and lecturer in his field and serves on the editorial board of the Journal of Women’s Cancer, The Journal of Clinical Oncology, and numerous advisory boards, and as an advisor to oncology programs, societies, and institutes throughout the United States and abroad. Devoted to the evolution of large randomized clinical trials for the treatment and prevention of breast and bowel cancers, he is also a reviewer for the Journal of Clinical Oncology and the New England Journal of Medicine, and he is an editorial board member of the Journal of Women's Cancer and Clinical Breast Cancer.